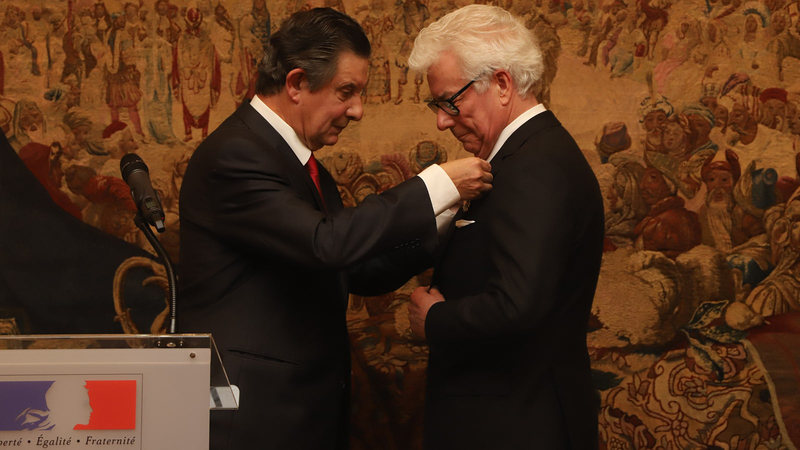 Ken Follett has been promoted to the rank of Officier in the Orde des Arts et des Lettres. 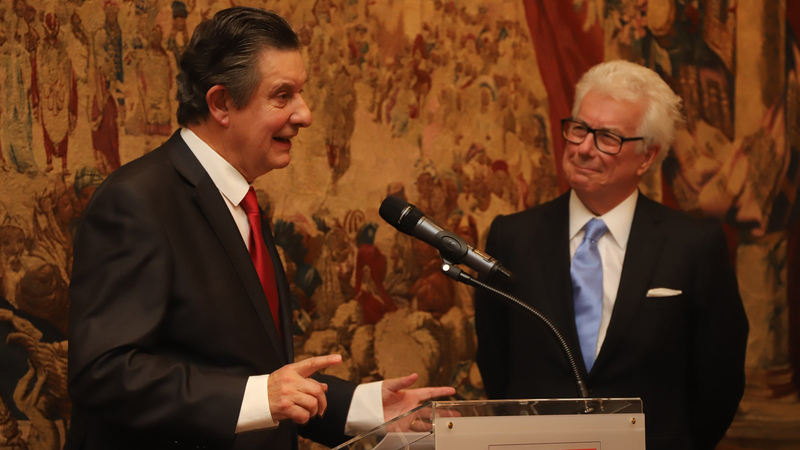 The French Ambassador to the United Kingdom, His Excellency Jean-Pierre Jouyet, presented him with the insignia at an official ceremony in London on Wednesday 20th March. 'Ken has been a #1 bestseller internationally for decades and his ability to immerse himself in the culture of the countries in which he is published so brilliantly is second-to-none. 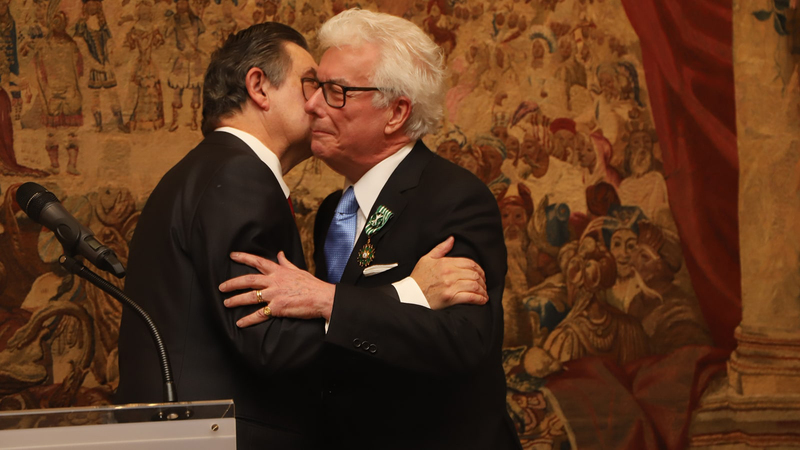 We couldn't be more thrilled that Ken has been honoured in this way'.